Getting press trips to interesting and exotic destinations is a major incentive for travel writers. It’s the primary reason so many of us stay in the game. Solid assignments play a major role in helping travel writers get press trips. Travel is costly these days and freelance travel journalists generally aren’t paid enough for their articles to fully fund their trips. Do a little math around the cost of a trip including airfare, car rental, gas, accommodation, meals, entry to tourist attractions, and tours. It’s easy to understand that even a $1/word assignment in a top shelf magazine won’t cover the cost of your trip to France or Bali. And most editors don’t pay $1/word. In addition to the low pay, the fact that freelance travel writers are paid after publication (rather than before we leave for our destination) means that we have to fund our travel expenses elsewhere in order to visit the destination. This is where Destination Marketing Organizations (DMOs) enter the travel writing equation. To promote their attractions, resorts, hotels, and regions, DMOs employ representatives to work with print, online, and video media professionals. These media reps’ job is to help travel writers and bloggers with their articles. For the price of a few nights in a hotel, a few meals, and arranging complimentary entry to tourist attractions, the DMO reaps tremendous promotional benefits. Free publicity from your travel articles lures lots of people (and their tourist dollars) to the destination. 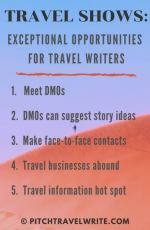 If the writer’s outlet is credible enough and offers widespread publicity (usually, more than 100,000 potential monthly readers), DMO media reps will often cover all of the writer’s travel expenses. 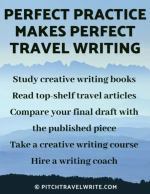 If the travel writer’s outlet is modest, (usually considered by media reps as a magazine or blog with less than 50,000 readers/month) the DMO rep may only provide partial assistance with the writer’s travel expenses. For example, this could include some meals, complimentary entry to tourist attractions and possibly reduced hotel rates for the press. In most cases, to get your travel expenses covered you must be able to offer the DMO media rep a minimum of one published story as collateral. Multiple assignments are even better. Most DMOs insist on seeing the letter from the editor (aka Letter Of Assignment or LOA) before they will spend their time and money setting up your trip. You need that golden letter to convince tourism agencies and DMOs you’ll bring their region great publicity. If you establish yourself as a writer with a professional website prior to contacting a DMO, your job will be easier. 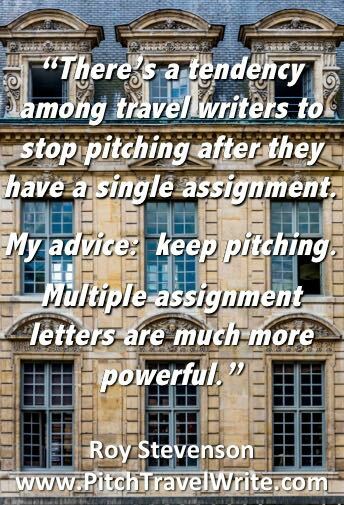 What Travel Gigs Can You Land With a Letter of Assignment? Let’s have a look at some of the trips I’ve landed using LOAs. 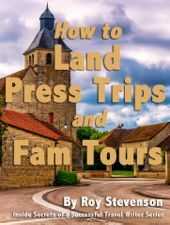 My travel has ranged from regional Familiarization Tours (aka Fam Tours) around the Pacific Northwest to full-blown press trips around the world. Wine and beer tasting at dozens of wineries and breweries, and countless free meals at some of the world’s finest restaurants. I’ve been pampered to the point of insensibility with dozens of spa treatments in luxurious tropical resorts and spas. I’ve cruised around Washington’s San Juan Islands in a historic schooner, visited historic castles, plush manors, rustic lodges and comfortable B&Bs. I’ve stayed 28 days at 12 of Bali’s highest end luxury resorts, taken a 7-day cruise in a luxury boutique hotel barge down France’s Burgundy Canal, and toured Wiesbaden and Baden-Baden, two of Germany’s finest spa towns. I’ve received VIP treatment in Queenstown, New Zealand’s most famous resort town, and have taken plenty of other sweet trips that I simply would not have been able to afford. All because I had travel assignments. 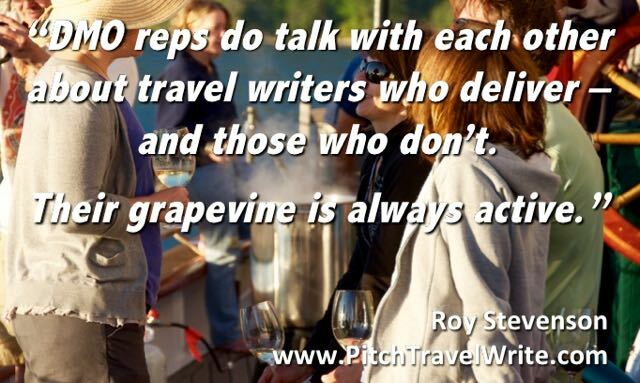 Most veteran freelancers have an established network of travel editors and editors from specialty magazines that will take their stories without reservation. They generally have an easy time rounding up LOAs. But what if you’re just starting out and you don’t have a stable of editors to rely on? You’ll have to beat the bushes to round up some LOAs. In other words, you’ll need to pitch story ideas about the destination to travel magazines and travel websites. If you’re a travel blogger or have your own travel website, and if your site has excellent traffic statistics, you can often use your own blog as your "assignment". But many travel blogs and websites have not yet built up enough traffic to impress DMO professionals. In this case, you’ll have to resort to getting your LOAs the old-fashioned way—by pitching stories to print magazines and travel websites that already have impressive readerships and traffic statistics. In the beginning the pitching process is time consuming and can be disheartening. Many editors’ either don’t respond or reply with “no thank you”. But there’s no way around the pitching and querying process. You need those LOAs to qualify for free travel. The pitching process works if you persevere. And if you’re good at it, the sky’s the limit for your travel opportunities. Over the past nine years, I’ve rounded up enough LOAs to land 90 press trips! In one particularly busy year of travel (2012), I went on 21 press trips, spending 120 days on the road. The following year, I went on 11 press trips and spent 140 days traveling. If you add those trips up, you’ll see that I spent 50% of my time traveling over those two years. I don’t recommend that sort of insane travel schedule to you. But it proves that it’s possible to score plenty of free travel if you know what you’re doing. I’ve noticed a tendency among travel writers and bloggers to stop pitching stories once they have a single letter of assignment. My advice is: don’t stop pitching! Show the CVB that you’re willing to write several stories about tourist attractions in their town. They’re more likely to pull out all the stops for you. I have used this approach to arrange lengthy trips in the Pacific Northwest, other U.S. states, and even international press trips. For example, multiple LOAs are more likely to get all your accommodations comped, plus comprehensive press passes to tourist attractions and all your meals covered. On a 12-day press tour of S.W. Germany I had private tour guides arranged at all 12 cities and towns on my schedule, courtesy of the German National Tourist Board. And, of course, the more stories you sell in advance (or presell), the more money you’ll make when they’re published. Don’t ever be tempted to fabricate or make up a LOA. Likewise, don’t promise stories you can’t deliver. This means you need a confirmed LOA before you take your trip. Never make vague promises about a magazine that ‘might’ publish your story. Ask the editor to put it in writing. Big problems arise when unscrupulous or bogus travel writers and bloggers milk this arrangement with the DMOs with no intention of producing any stories after the tour. If you fabricate your letter of assignment, you will eventually be found out. That’s bad karma. Good ethical karma, on the other hand, has a way of coming back to help you. 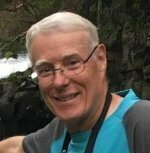 For example, after I toured one of the counties in Washington State and sold several stories to regional and national magazines, I started getting calls from other DMOs insisting that I visit their regions. Word got around that I was a “hot” writer who delivers. Suddenly I was bombarded with invitations. That’s the power of having assignment letters and multiple assignments. DMO reps do talk to each other about writers who deliver. Their grapevine is always active. Learning how to get assignment letters before your trip and delivering on those promises later will make a massive difference in how often you get invited on press trips, how well you are treated at your destination and even where you get to travel. Your LOA is proof that an editor has assigned you to write an article. If you do it right, your assignment letters can be your ticket to ride!